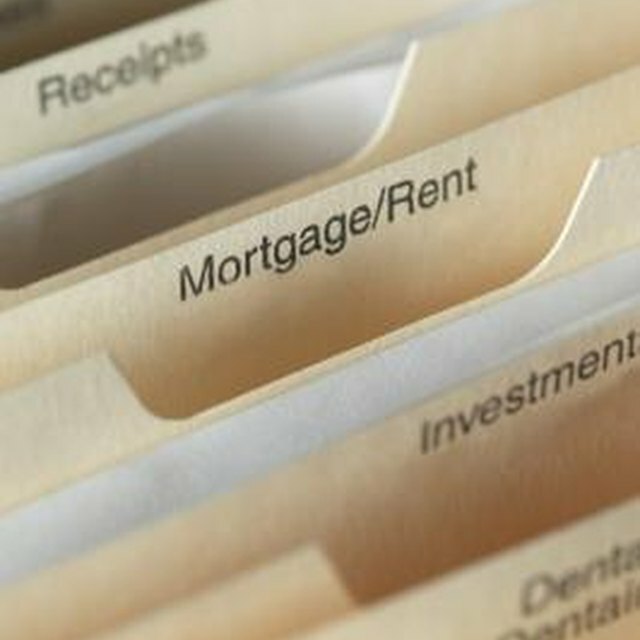 Mortgage lenders safeguard against default in various ways. In addition to examining a borrower's income and credit profile, lenders participating in the Federal Housing Administration's mortgage insurance programs assess additional fees. Mortgage insurance, also known as MI and escrow impound accounts, is required on all FHA-backed loans as of mid-2013. The mortgage insurance premium goes toward the FHA's reserve fund used to pay lender claims. The escrow account allows the lender to collect taxes and homeowners insurance reserves. The FHA's insurance allows lenders to offer low-down-payment loans to borrowers who might otherwise have difficulty obtaining a mortgage. FHA loans help low- to moderate-income borrowers and borrowers with credit challenges. In exchange for flexible underwriting guidelines and the low down payment requirement of 3.5 percent, a borrower must agree to establish an escrow account. It authorizes the lender or loan servicing company to remit payment to the property tax authority, homeowners insurance provider and pay the government mortgage insurance premium on his behalf each year. The FHA adjusts the annual mortgage insurance premium according to its fiscal needs. As of April 2013, the FHA charges an annual premium equal to 1.35 percent of the loan amount on its most widely-used loan type. For example, a typical loan of $200,000 has a mortgage insurance premium of $2,700 annually. Divided by 12, the borrower ends up paying $225 monthly for the coverage. The lender collects this amount each month along with the borrower's regular loan payment and escrow impounds. The borrower begins paying into the escrow impound account upon loan settlement. The lender may require several months worth of property taxes and homeowners insurance to establish the account -- the exact number depends on the time of year closing occurs. The lender collects one-twelfth of the annual amount due each month thereafter. For example, suppose your annual property taxes on a home valued at about $200,000 are $2,000. Divided by 12, your property taxes cost about $167 monthly. Suppose your homeowners insurance premium is $500; monthly, you pay about $42 into the escrow impound account. FHA loans also require a one-time, Up-Front Mortgage Insurance Premium. As of April 2013, it is equal to 1.75 percent of the loan amount for most FHA loans. It is due as a lump sum at closing and most borrowers finance it by adding it to their loan balance. Cancellation of the escrow impound requirement is subject to lender approval and usually depends on your loan performance over several years. However, as of mid-2013, mortgage insurance is a permanent feature of the loan which the borrower pays for the full 15- or 30-year repayment term. Close Your Own Loan: What Is An Escrow Impound Account? RealtorMag: What Does the Average Home Owner Pay on a Mortgage?